It’s been a mere week since model Hailey Baldwin officially changed her name on social media to “Hailey Bieber,” and now the newlywed is making things even more official…by sporting an extremely blingy “Bieber” necklace while out and about over the weekend of November 23rd. Hailey posted a picture of the necklace to her Instagram Story, along with a beating heart gif, and gift box and heart-eye emojis, implying the piece was a gift from someone special: Justin Bieber himself, perhaps? Hailey’s birthday was November 22nd, so it’s entirely possible. While we don’t know for sure who the gift is from or even if the diamonds are real, we do know this necklace is officially extra AF, and we’re here for it. 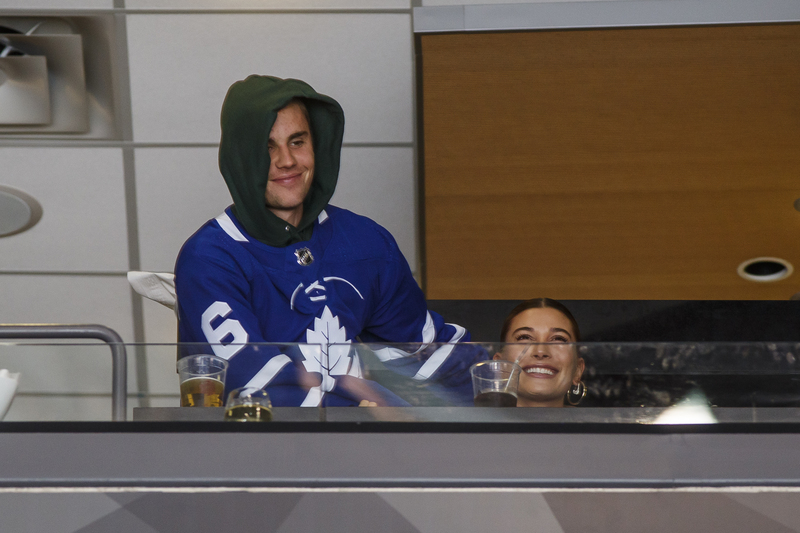 And this is not the first time Hailey has displayed her Bieber family pride. On November 24th, the couple was spotted at a hockey game wearing matching “Mr. and Mrs. Bieber” jerseys. Hailey has also been spotted wearing a denim jacket with “Bieber” written across the back—so suffice it to say, she’s leaning into this new phase of life (and name). Now our only question is, might a Bieber tattoo be in her future? Only time will tell.